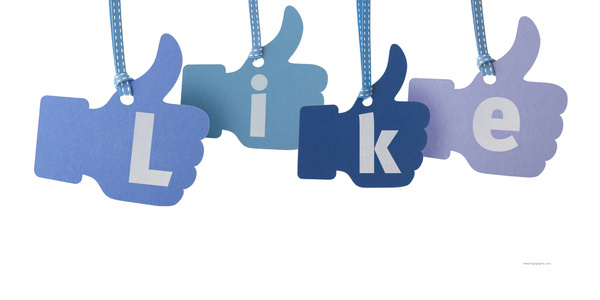 Is growing Facebook likes your only strategy? Tell you what, if you go to my Facebook profile right now, you will see that, over time, I “Liked” at least a dozen high fashion brands and two dozen local attractions including restaurants, hardware stores and a few travel agents. For one, there is this little French restaurant 3 blocks over that I have been meaning to drop by for quite some time now. Then there is dinner cruise I am always thinking I will book one day for my birthday or Valentine’s Day. Basically, I am a potential customer for each and every one of these businesses and I absolutely love the fact that Facebook and the other social networks make it so easy for me to keep up with what’s happening around me. I mean, if tomorrow, the little French restaurant is having a special event like say 50% off steaks, I would want to know but at this point, I am not an actual customer of any of the establishments I “Liked” on Facebook. My “Like” means very little. And I’m not even talking about tweets or +1s! So here is a question for you marketers. Why are you guys still obsessed with Facebook likes and Twitter followers? Is it getting you anywhere? You need to realize that at the end of the day, social media is all about increasing your business potential. A good social media campaign increases the reach and impact of your brand and exposes you to the right people. But an even better social media strategy involves work that converts this potential into action. So are you ready to get your social media strategy right? Let’s get started! 1. Don’t Be an Attention-whore. Be Tactful! For social media success, you need eyeballs on your content. What you need to know is this: Getting on people’s radar is a tactful process. You can’t mastermind crazy stunts to build your brand awareness. Sure, faking a hack (*cough* Chipotle *cough*) might draw some attention, but do you think that kind of brand awareness leads to action? If you are going to invest in social media marketing, make sure people talk about you for the right reasons. You want your followers and Facebook fans to convert into buying customers. Getting a Twitter follower of a Facebook like means nothing but it is the beginning of a potential future connection and relationship. It’s entirely up to you how you nurture this lead. One way to make sure your fans and followers never lose interest in what you have to say is to systematically share informative and entertaining content. This includes how-to articles, video tutorials and products reviews and ratings. You can also promote engagement and create a buzz around your business by asking your fans and followers open-ended questions. Engagement is one step closer to real action. Next, you need to define what action you want your fans and followers to take. Do you want them to visit your website? Do you want them to sign up for a newsletter? Do you want them to visit your store? Depending on what action you want your audience to take, you need to optimize your social profile for it. This includes creating targeted content and providing the necessary links. The social networks usually provide marketers with free tools to assess their performance on the sites. Stop measuring things like “Likes”, “Followers” or “+1s”. These are merely vanity metrics. You can use these numbers to assess your progress over time but don’t make them your only focus. Instead, you want to focus on metrics that matter. For example, measure actions (whatever your preferred action is), cost per action and revenue. The point is, don’t miss the point! Social media is supposed to be part of your marketing strategy, and not a Facebook or Twitter fun fest! Define your goal before getting on there, and use the social networks to help you get there. Don’t make “collecting fans and followers” your main goal, because really speaking, this does not really bring your business anywhere on its own.